Actress Kristen Stewart Shaved Head and then Bleached her BuzzCut, OMG!! Finally, Kristen Stewart wish became true. 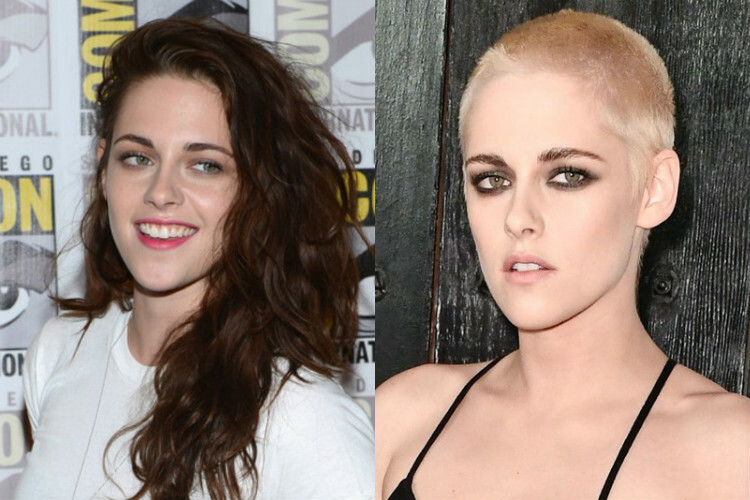 In the past days, We knew that Kristen Stewart always wanted to Shave her Head. So, how this all happened? What’s the real reason behind Kristen Stewart’s Headshave? Is this BuzzCut and Blonde Bleach meant for any character? Some people are trolling Kristen Steward after her Headshave, During her Photoshoot, she tried to adjust her hairstyle thinking that she still has hair ran her fingers over her head. Then she realized that she’s bald now and got herself embarrassed in front of the media. The clip of this incident is going viral on Social Media. this happened during the premiere of her movie Personal Shopper After she ran her fingers and found her beautiful Bella tresses are gone the whole incident looking kinda funny. 26-year-old SnowWhite Actress is actually a brunette and she’s been maintained her hair to be blonde since many days. Now coming to the actual reason why she got her head buzzed and bleached blonde.. The reason for Kristen Stewart Buzzcut? In an Interview with NBC News, Kristen Stewart revealed why she went for a Buzz Cut and Dyed her hair Platinum Blonde. She said she’s going to play a character of Mechanical Engineer in her upcoming movie Underwater. For that character being bald is what the makers decided and her choice suits in the discussion which resulted in her Head Shave. “We tried something a little different today,” Britt Brager, her hairstylist, said. She called the do #perfectlyimperfect, which is simultaneously kind of precious and completely accurate. What do you think about Kristen Stewart Headshave? How’s the look n all? Leave a comment below.